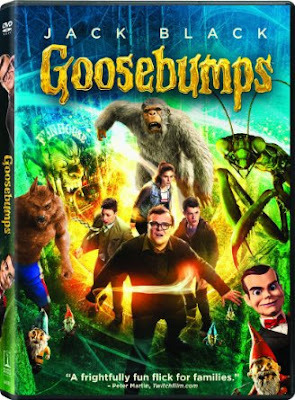 Goosebumps or Cabin In The Woods for kids,a film with all the things of nightmares come to life. A film way to scary for a younger audience,but not scary enough for the teenage market it is obviously aimed at. 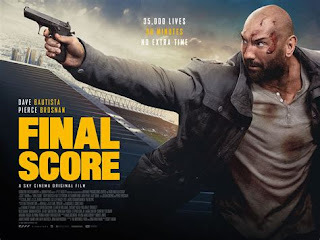 A film crying out for a 12 or PG13 certificate,but getting a PG rating,shame as this film although good, could have been great. With for once a toned down performance from Jack Black as (E.L.Stein) the author of this book franchise, with the original manuscripts that is safely guarded and locked, in his house, but will come to life,if they are opened. Set in the usual small town setting. With the usual teenage characters you have normally in these films,the new boy moved in,Zach (Dylan Minnette)who falls for girl next door Hannah (Odeya Rush),we have the geeky friend and comic relief of the film Champ ( Ryan Lee),we have the freaky dummy (Slappy),who normally narrates the TV show,as the main protagonist, who releases all the monsters and demons from these manuscripts,whilst burning them and enabling them to live in the real world without the fear of returning to the books they escaped from. Now although this is a kids film,and is made mainly for laughs,it has some jumpy moments that made my teenage daughter jump frequently,the werewolf is far too scary for a PG film,we have a very underused clown that does look scary but is hardly seen,and the Zombie effects and walkers are good,but not seen or used as frequently as they should have been. In other words far to many monsters released,with not enough screen time for all to be seen,shame,as this could have made this quite a terrifying children's movie,instead going just for laughs,when it should have been scares. Still I cannot fault this film,it is well acted from all involved,and is very jumpy,but just not quite scary enough.Then again it is aimed at kids,but considering other kids films released in the last few years,such as Paranorman,Coraline and Monster House that had genuinely very creepy scenes,actually put this film to shame. 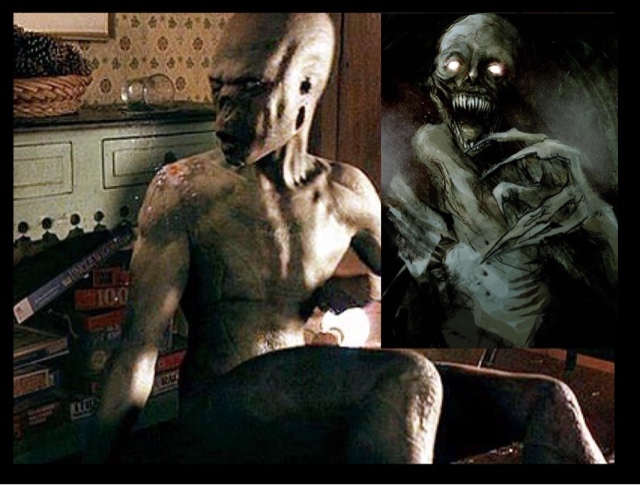 That is why,although still incredibly watchable,this film,like the books this is based on could have been just a little more scarier. If you want to introduce children though into the possible world of horror this film isn't a bad start.